It is important for gem buyers to recognize windowing and to understand its effects. It is also important to understand what degree of windowing is unacceptable and what is unavoidable. To do that we have to first understand a bit about the theory and practice of gem cutting. When a gem cutter facets a piece of rough stone, he has two goals in mind: (1) to produce the most beautiful gem possible from the rough material and (2) to produce the largest gem possible from the rough material. In practice, these goals sometimes conflict, and economics often wins over aesthetics. The result is a gem that may be cut to preserve weight. Depending on the shape of the rough, the finished gem might be cut with a large belly or pavilion; or it might be cut with a large face and a shallow bottom. It is the second result which can produce windowing. The shape of the pavilion is important because the angle of the pavilion facets determine how light is reflected back out the crown of the gem. The critical angle, as it is called, is determined by the refractive index of the material. If the pavilion facets are cut at an angle less than the critical angle, light will pass through the gem rather being reflected back to the eye as brilliance. 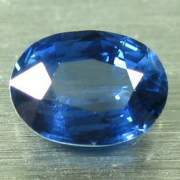 The result is an area of diminished brilliance in the center of the stone. To determine if a gem is windowed, look down at the gem through the table, at a 90 degree angle. If the gem has a window you will see an area of reduced color in the center of the stone, with a darker rim around the edge. This phenomeon is sometimes referred to as a fisheye appearance. You can also place a page of text below the gem and see if the text is visible through the center of the gem. With a little experience windowing is easy to detect. However, it is important to distinguish a genuine window from apparent windowing that is not a cutting defect. There is a phenomenon known as a tilt window that occurs when you look down through the table and then tilt the gem in one or another direction. You will then see clear window through some of the pavilion facets. A tilt window is often unavoidable even in a very well cut gem, particularly in a gem material with a fairly low refractive index. Gems with a low refractive index, such as tourmaline or beryl, need only be tilted a few degrees to see the tilt window, while a gem with a high refractive index like zircon may need to be tilted 16 degrees for a tilt window to appear. 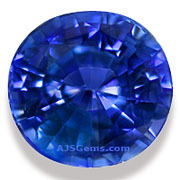 Gems cut with a high or narrow crown may not display a tilt window at all, though these may not be desirable cutting characteristics. It should be pointed out that windowing is a matter of degree -- a gem may have no window, a very slight window, or a very large window. Large windows should always be avoided, since they will not perform well when set. Gems with very slight windows, on the other hand, usually display no window at all once set in jewelry; the window, as we say, "closes up." It is our policy only to sell well cut gemstones. If we acquire some high quality material which displays a window we will always recut it before offering it for sale. It means that the per carat cost will be higher, but our customer can always have confidence in the gems we offer for sale. Many low priced gems offered in the market are badly windowed, and these appeal to buyers who are looking to buy a gem with a large face at a low price.